Scientific House in Turnpike Industrial Estate, Thatcham, is a shared office between New Commercial Services, Phoenix Sporting Goods and Linear Guidance Illumination. The joining of three businesses in one building posed an interesting challenge for NCS, and we are proud to have achieved an excellent working environment to suit everyone. The main office working space is situated on a mezzanine floor, with three separate offices and storage spaces. The area is comfortable and modern with speakers in the ceiling and a large television on the wall. The mezzanine floor allows for a production centre and repair centre below for Linear Guidance Illumination, whilst Phoenix Sporting Goods benefits from a large, fully heated and insulated warehouse complete with modern male and female WCs. The kitchen in scientific house is not what you might expect a typical office kitchen to be. It is spacious, modern and fully functioning, with an oven and hob and enough room for a full sized dining table and chairs. 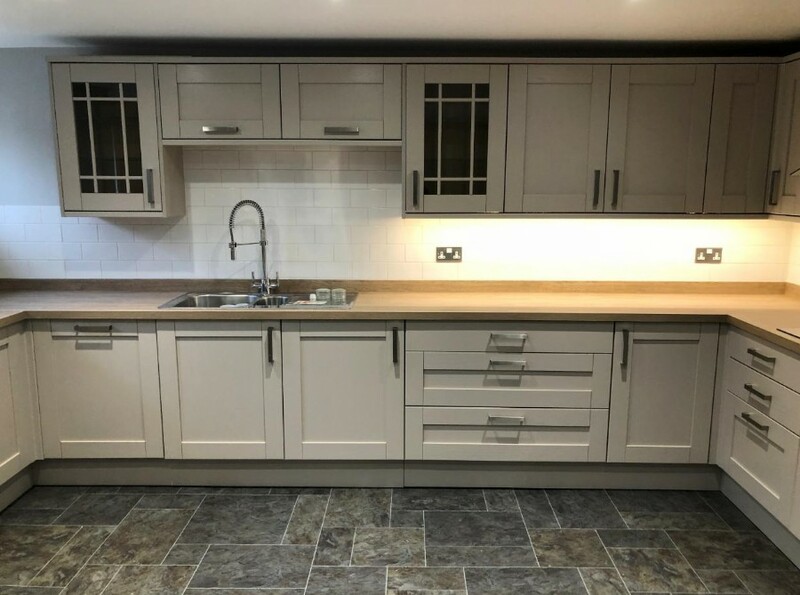 Whilst it is functional, it also creates a fantastic family feeling for the team who use it, and it also acts as a way for New Commercial Services to showcase our skills and craftsmanship when we bring clients to the office. 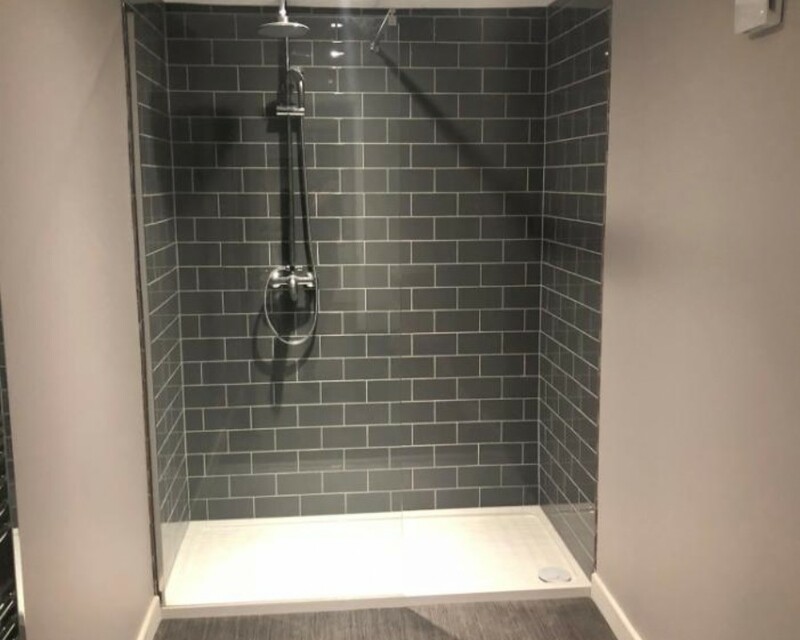 Following on from the Kitchen, we have installed a modern WC and shower room to further enhance the staff’s working environment.